How to Walk by the Spirit book plus 9 hours of CDs and DVDs! This manual was previously titled Sense Your Spirit, and for the first time ever we now have nine hours of Mark Virkler on CD (and DVD, and MP3) teaching through the principles of this powerful book. The material was birthed from Marks passion to live out of his spirit, and thus release the anointing of God. The problem he faced was lack of clear biblical definition as to what his spirit felt like. In this book you will learn how to clearly identify your spirit as well as how to live comfortably out of your spirit. Jesus sensed His spirit and the moving of the Holy Spirit within His spirit. He also sensed the spirits of those around Him. Because of this, Jesus was able to minister spirit to spirit (Mk. 2:8). In this series, you will explore most of the 1400 verses in the Bible which contain the words heart or spirit, while asking two burning questions, How do I sense my spirit? and How do I sense the moving of the Holy Spirit within my spirit? The goal is that you will learn how to radiate Christ out through your spirit. 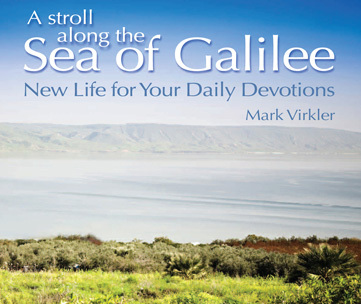 You will learn how to walk by the Spirit (Gal. 5:16). Introductory Special Order Now and Save $40! CLU Course of the Month: The above new CDs are included in the life-changing course below. Click for: Student Testimonies and a sample from the Course Syllabus. The key to the successful Christian life is walking and living in the anointing of the Holy Spirit. This course has three emphases: First it is designed to help you become aware of your spirit. All 1,400 verses of Scripture that deal with the heart and spirit of man are closely considered with the one supreme objective of learning to sense your spirit and the Spirit of Christ within your spirit. From there you go on to examine the anointing of the Holy Spirit and how the anointing can be increased in your life. Finally, you will try to get to know the Holy Spirit as a Person. Click here to enroll online or call 1-800-466-6961 (outside the US call 716-681-4896). Be sure to ask for the "Course of the Month" to receive this special price. I am a wife and a mom of 5 wonderful children and your spirit, your books, your articles, your website, your ministry is completely changing our lives!!!!! I just finished reading Wading Deeper In the River of God and it is AMAZING. What a blessing you are, Mark, as a man, who gets this stuff. Ive recommended Rivers of Grace to every parent I know, as it is the BEST book on discipling children that Ive ever read. Thank you! I have been journaling since November consistently. Because of your ministry and life and teachings, I have a new relationship with Jesus than Ive ever had before! I am filled to overflowing with thankfulness, joy, expectation of goodness, and HOPE, and what is the most wonderful of all is that God is opening my mouth and making me able to impart HOPE to people instead of the way it used to be. My name is Kevin Kidd. Im currently a pastor in Augusta, Maine. My wife and I arrived here roughly 2 years ago and are loving it here, loving the people here, loving everything here (ok, were still working on the weather-thing). We have three How to Hear Gods Voice DVD courses going simultaneously at our church (2 cell groups, 1 Sunday School) right now. I am confident that we will have this course running in some fashion for the rest of this churchs existence because I, and we (the leaders and the body), believe that hearing His voice is foundational to Christianity...foundational to the manifestation of the gifts, foundational to our daily walk! Thank you for bringing the message the body needs to hear! By the way, I dont think that Im overstating things when I say that Im a pastor today because of your course. I took it roughly 13 years ago when it was called Communion with God...and the course back then laid such a solid, necessary foundation for me to have assurance and conviction that I could and would hear His voice. What an awesome thing it was to hear Dad say to me for the first time, I love you! Talk about life-changing! Question from Murali in India: I love to hear from God and there was a period of time in my life in the past where I was giving time for hearing the voice of the Holy Spirit. But sometimes, I couldnt see things [in life] matching with the things I heard. Then I got more fear in my heart and stopped paying attention to that. However, recently I want to get back to the hearing of the Holy Spirit. Yet I have fears in my heart that the mistakes may happen in hearing Gods voice and I want avoid them. Would you please help me in this area? Answer from Mark: I find that when I try to get predictive advice from the Holy Spirit (such things as, What is going to happen? or When is it going to happen? ), I am often wrong and that produces fear. However, we must keep in mind that even if things do not happen exactly as I understood God to say in my journal or at the time I wrote it down, it does not necessarily mean that my journaling was wrong or that I did not hear God correctly. Jonah said that Nineveh would be destroyed in 40 days (there were no if clauses in Gods words to him), but that did not happen because the people repented. God has said that His declarations for mans future are dependent upon mans response, so dates and predictions are all in flux (Ezek. 33:13-16; Jer. 18:7-10). Therefore, I restrict my journaling to the purposes for prophecy indicated in I Corinthians 14:3 edification, exhortation and comfort. I do not use my journaling for predictions, since that is not one of those three categories. Adam was walking around the Garden of Eden feeling very lonely, so God asked him, Whats wrong with you? Adam said he didnt have anyone to talk to. So God replied that He was going to make Adam a companion and that it would be a woman. He said, This person will gather food for you, cook for you, and when you discover clothing shell wash it for you. She will always agree with every decision you make. She will bear your children and never ask you to get up in the middle of the night to take care of them. She will not nag you and will always be the first to admit she was wrong when youve had a disagreement. Adam asked God, What will a woman like this cost? God replied, An arm and a leg. Then Adam asked, What can I get for a rib? About a month ago I received your e-newsletter and I read Angie McKees journal with the Father on the abuse she experienced in her life. I emailed Angie and told her that while my situation was not like hers, my life was currently in tatters due to the discovery of my husband having a year long affair. Tent-Making Activity (Acts 18:1-4) No More Morning Sickness! With my first pregnancy, I was nauseated from my 7th to my 14th week. Josh made dinners because I couldn't handle the thought of being in the kitchen. I had to stand up slowly, or I would get very dizzy for a few seconds while my blood pressure stabilized. I slept for the entire first trimester. I slept 9-10 hours a night and a long nap (or two) every day, and was still tired. This time, while drinking the juice, I had more energy than I knew what to do with, starting on the second day of drinking it. Not only did I not need a nap, but I found myself getting up and doing housework and actually getting ahead on the cleaning and organizing, while still chasing an active toddler. Also, during this pregnancy, my skin hasn't been as clear as it was with my first baby; I have had more acne than in the last several years. I didn't notice anything right away, but after a couple weeks of consistently taking the juice, my skin was clearing up beautifully. Also, I don't have to stand up slowly anymore...I can squat down to take a picture, stand up and keep walking. Do you know anyone who is suffering from morning sickness, or who could use more energy? Click here to learn more and try this delicious superfood for 90 days and see what it does for you or someone you love. You are covered by a three-month, 100% money-back guarantee, so you have nothing to lose. River Community Church: Small, intimate, non-denominational Christian church seeking bi-vocational pastor. We are a portable church with a diverse multi-generational body. Sunday service is filled with live, upbeat praise and worship music. We value helping and counseling those in physical and spiritual need. Must have a passion for shepherding, teaching, communication, spiritual leadership and agree to have a spiritual mentor and accountability partner. Ideal candidate will have an open, warm, friendly personality. Contact Daniel Huitron at [email protected]. Evangelism Position Available: We are looking for a man or woman to head up a door-to-door evangelism ministry for our church. Community of about 12,000 in mountains of New Mexico. Starting salary $300 a week plus furnished apartment in church. Only happy people need apply. Contact Pastor Mahl at [email protected]. New translations posted Spread the word to those who could benefit! A special thanks to Jocelyn Agpalo who has translated Overcoming Blocks and Hindrances to Hearing Gods Voice into Ilocano. We have received offers from individuals around the world to translate our books into various languages, and we now have free material available on our website in 25 different languages (plus English!). We appreciate each and every person who has given of their time and talent for this work. If you would like to volunteer to translate any of our materials, please contact Mark Virkler. An opportunity for you to experience Life Coaching with your own Personal Spiritual Trainer! A wonderful way for you to be Discipled in Christ.